Refer Ambassador and Earn $500! Invite your network to learn more about our industry-leading relationship marketing software. Can't stop talking about our relationship marketing software? Become a brand ambassador today by simply entering your email address in the form below. When you join our referral program, you'll be given a unique link to start sharing right away. So go ahead, spread the word! You'll receive a $100 Visa prepaid card for each referral that completes a demo. If they sign an annual contract, you'll get another $500 Visa prepaid card! Who can join the Ambassador program?  Anyone can join our referral program! Whether you’re a current customer or an avid fan, we appreciate you spreading the word about Ambassador. Once you enter your email address into the form above, you’ll be enrolled as a brand ambassador and can instantly share your unique referral link via email, Facebook, Twitter or LinkedIn. You’ll also receive a welcome email that contains your unique referral link and login credentials to our portal. Make sure you save this email for future reference. What companies are the best fit for Ambassador? Ambassador allows you to manage all of your relationships — influencers, affiliates, referrals, recommendations, rewards, NPS®, etc. — under one umbrella. We typically see the best success with mid-size companies to enterprise brands in the B2B and eCommerce space. If you know someone that could benefit from relationship marketing, send them our way! There is no limit to the amount you can earn. However, only new customer referrals are eligible to earn a reward. Self-referrals are also excluded, but we encourage you to schedule a demo if you’re interested in learning more about Ambassador. We’re always happy to chat. Rewards will only be paid for a completed demo or once your referral signs an annual contract. These rewards, also known as approved commissions, will be emailed via a prepaid e-card on the 3rd of each month, or closest business day. Please note, webinar attendance does not count as a completed demo. You can sign into our portal at any time to view and track your referrals. When you enroll in the referral program, you’ll receive a welcome email with a temporary password to sign into the portal. Once you’ve logged in, you can update your password within your account settings. If you’ve forgotten your password, you can go here to request a password reset. Still have questions? Please contact us at referrals@getambassador.com. Log in to our portal to share and track your success.